It’s not just a good idea to get auto insurance when you’re driving a car on Ontario’s roads; it’s the law. And that’s not just here, that’s throughout the rest of the continent and most of the world. But while getting auto insurance is a simple enough idea, there are many considerations going on behind the scenes that make exactly how much insurance you’ll pay every month a complex equation. Here are 10 of the things that insurance companies think about when it comes to pricing your insurance. This, obviously is going to be a big one. Someone that’s freshly licensed with just the basic, minimal amount of driving experience is going to be priced differently than someone with years on the road. For Ontario driving purposes, the experience that counts for consideration is North American driving experience. So if you’re from the United Kingdom, just arrived and ready to get a car here in Ontario, sorry! You’re considered to have no driving experience here and will be factored accordingly. 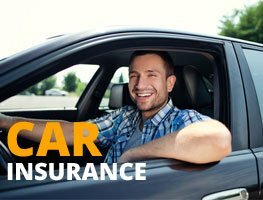 If you attended a recognized driving school and have the certification to prove it, insurance companies will take that into account when you apply for your insurance. They take it as a good sign that you took the time to familiarize yourself with traffic law and driving theory, and your insurance rates will reflect that. This discount is valid mostly for new drivers who have been licensed for three years or less. Deciding to take a class after 10 years on the road won’t apply. How long that car has been kicking around on the road is going to be another factor that insurance companies look at. Brand new cars will be priced differently from an old car, especially if that old car is a restored classic. In today’s market, it’s not surprising for new, current models of cars to actually have lower insurance rates than cars even a few years older, as with a brand new Honda Accord versus a 2013 model. How long you’ve owned a car is going to play a role your premiums. If you’ve been driving the same car for five years, you’ll enjoy lower pricing compared to someone who just bought that same car from you. If you’ve been with a particular insurance company for quite some time, then there may be “loyalty rewards” in place that give you lower rates. The more you use a company, the more they appreciate it, and it often reflects in your rates. 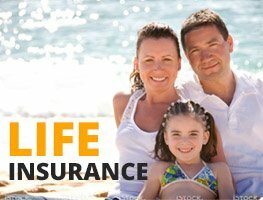 Going along the same lines, if you have different kinds of insurance with the same company, this can also bring savings. 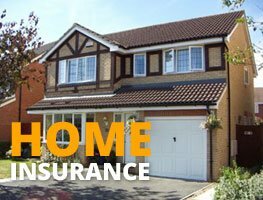 Having home insurance with the same company may bring reduced pricing when it comes time to add auto insurance. Global warming may be making the winters milder, but that still doesn’t stop winter from arriving entirely. If you have winter tires for driving during the season, that’s something that your insurance company will approve of, and discount for accordingly. Here’s one on the list guaranteed to raise prices. Some insurance companies, like Coachman, are willing to accept brand new policy holders with up to seven minor convictions on their record, as long as there’s nothing more serious than that. If you’re driving your car strictly for commuting to work, that will be much different from the decision to become an Uber driver, for example. Some companies, like Intact Insurance, offer specific polices and insurance rates for people like Uber drivers that are using their vehicles as a means of employment, not just transport to and from work. Your insurance company has many other factors that they look at, making for some fairly complex mathematical gymnastics. But if you want to keep it simple, just know that good driving is rewarded with discounts and bad driving is punished.